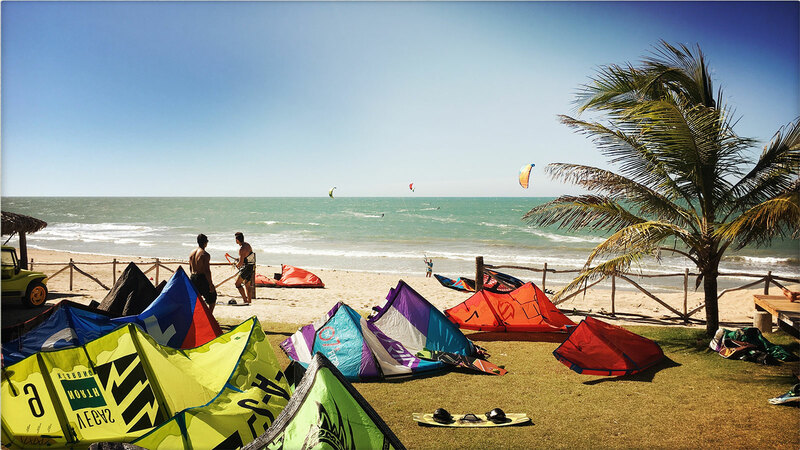 Icaraízinho or Icarai de Amontada offers excellent conditions for Kitesurf Practice. The wind blows strong and regular almost 9 months a year (from June to Febuary). The water is warm and the large bay proposes a large variety of spots. 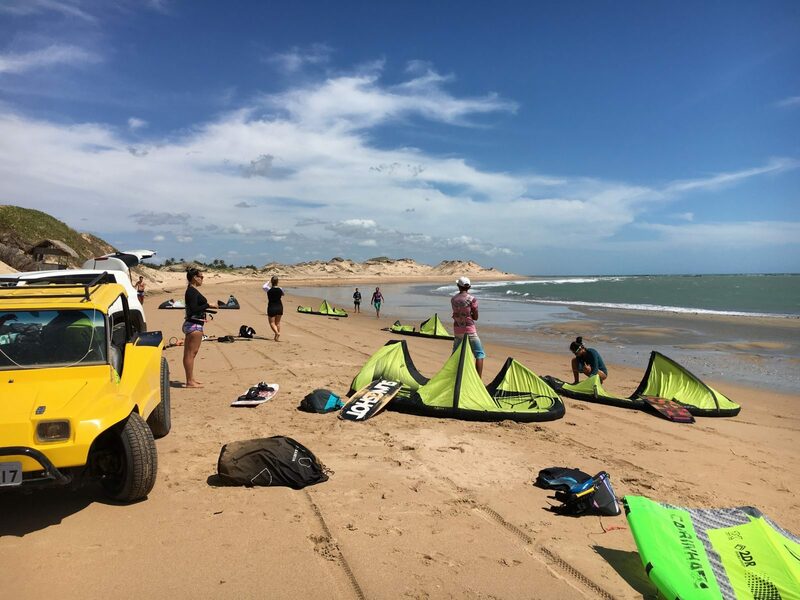 Our partner and Iko Kite Station Cabana do Kite, will allow you to begin or evolve in excellent conditions through training courses and several packages adapted to each one’s level. The sea remains very calm with low tide, and forms nices waves with the rising tide. The wind blows there side-on and thus makes it possible to bring back to the edge all that could be lost in water, a board, a kiteboarder for example? The conditions are perfectly adapted to kiteboard practise, this in full safety. Lessons can be given on a near spot, after a short buggy ride. It is a closed little bay with very flat water, the wind blows side/side-on and the learning conditions are perfects. The west side of the bay offers a nice waves spot, and at the end of it a reef protects from the swell and proposes a great freestyle zone. The place is splendid, a small fishermen’s hut makes it possible to rest in a hammock and enjoy the view, somewhere out of time. Interior lagoons or other perfectly flat water zones offered by the near “rios” will allow the freestylers to show their skills and the least confirmed to reach with great steps the stages of their progression. Day-Trips are possible to go discover theses spots, as well some downwinds with assistance, according to your levels and wishes.